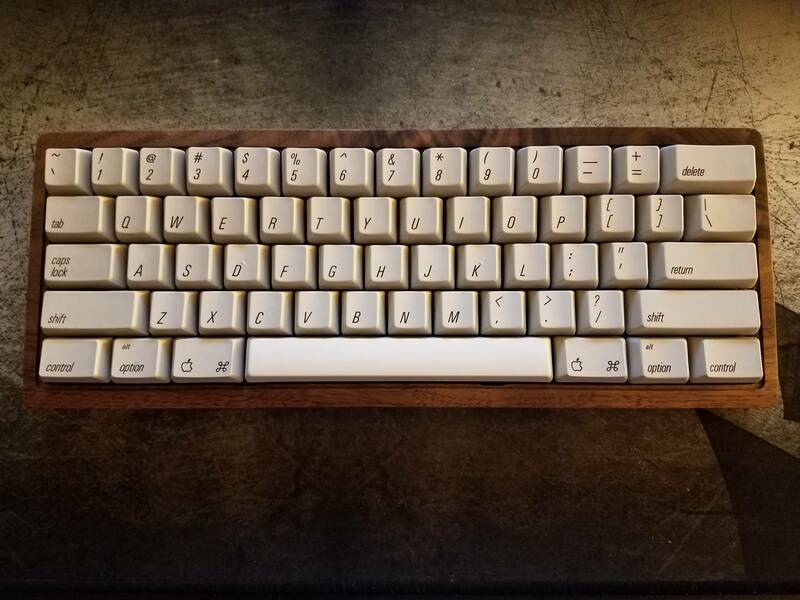 Recently, I built an Alps64 board with a wooden case, Orange Alps, and AEK keycaps, so a pretty bog-standard build, but I love it to bits. As such, while the switches felt pretty good in the condition they were in, I did notice a bit of dust upon opening one up. So, out of fear of damage occurring to switches over time due to the dust (and to make the switches feel more consistent), I decided to open each one up and clean them with a dust cleaner per Chyros's video. They definitely feel more consistent now, but for some reason they now have a mild ping, which is a bit annoying (I really liked the unadultered THOCC the switches made beforehand). As such, does anyone know of a good remedy for this issue, by any chance? Would lubing the springs help in this case? Fantastic, thanks mate! I'll try it out and see how it goes. Have any pictures of the board? Why all the hatred for ping? It's very subjective. For example, a rather loyal viewer of mine frequently makes comments on videos, especially those of very pingy boards, and he often gets frustrated he can't make any of his boards sound as piny as mine appear to do; he seems to be in pursuit of history's pingiest board. Some other viewers, in contrast, can't stand it. he seems to be in pursuit of history's pingiest board. Correct answer: Apple M0110 original Macintosh keyboard. The ping emperor. Tell him to make a thread about his ping research if he has a breakthrough, I would also like an answer to the riddle of ping. Seconded. The pingmaster is one thing, but the M0110's ping sounds like it might escape and start haunting the place. Indeed. I’d love to love that board, but the sound is howling! There’s something very almost demonic about it. Like a banshee. The riddle of its origin / how to quell it, or the riddle of why some people dare to actually like it? I’m in the less is more group, obviously. I like a good sharp click, but a reverberating ring is not my thing. I’ll put up with it for Model F but it really ticks me off in linears. Yeah, that's what I told him too xD . This really made me chuckle. I had a roommate in college that would use that board when I tried to sleep. I wanted to feed it to him. You heard it mate, gotta get that M0110! I would, but it's not really worth the effort. They're not really available for the best prices and you need an expensive converter. Plus, I prefer the tone of the Pingmaster. I think maybe when I am minted and looking for the next keyboard fix, I will consider it. Finally got around to lubing the springs and now the thing sounds like a beast! Thanks for the help! Looking for a replacement now, but they're pretty hard to find in good condition. Maybe I'll just paint it a different color and see how that goes, give the board a bit more flair. Anyway, gonna do the same spring lubing process with my new SMK 2nd gen board (since the switches are pretty easy to open once desoldered) and see how that goes as well. Just give it some time and it will return to a color more desirable, or even more yellow than the rest once again. This has happened to all of my retr0brighted spacebars. Especially with Apple stuff. I mean, it might not work, but maybe it will! Doo wah, doo wah, doo wah, doo wah).